Members of the Mesa County Employee Association take a break after coordinating and decorating the 37th Annual Employee Recognition Luncheon. Thank you, MCEA, for putting on a fantastic awards ceremony! MCEA members try to hide from the camera. MCEA is tasked with promoting direct employee-employer relations in the interest of better county service. The group is made up of energetic and charismatic (and camera shy) employees from departments across Mesa County. The MCEA (not all members are pictured here). A table topper decoration at the luncheon is very reminiscent of Assessor Ken Brownlee's mustache. To which Brownlee responds, "Plagiarism is the most sincere form of flattery." 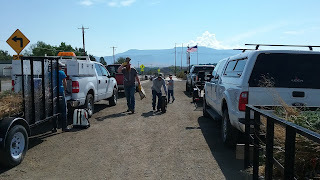 Mesa County Road and Bridge Maintenance District Manager Otis Darnell attends the employee picnic with his four-year-old grandson and his wife. 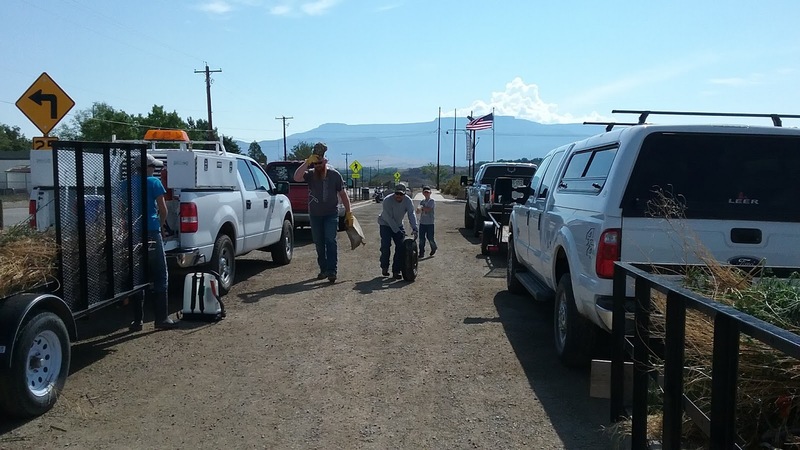 Mesa County Road and Bridge Maintenance District Manager Otis Darnell has worked for Mesa County for 39 years. His dedication and exemplary services to the residents of Mesa County are invaluable. MCEA representatives Lori Seeley and Connie Robbins announce that lunch is ready! Criminal Justice Services Accountant Doni O'Rourke goes through the lunch line. Mesa County Department of Human Services Director Tracey Grachar greets Fairgrounds Manager Donna Redd at the 37th Annual Employee Recognition Luncheon. Mesa County Solid Waste Operations Manager Amber Swasey and Solid Waste Director Barrett Jensen enjoying their time at the luncheon. An excellent turnout at Mesa County's 37th Annual Employee Recognition Luncheon. Mesa County Public Health staff members show their support for ten of their co-workers who are celebrating milestone anniversaries this year. Friendly and smiling, Mesa County Assessor's Office Administrative Assitant Laurie Kunze, celebrates her 25th year anniversary! Congratulations, Laurie! Mesa County Administrator Frank Whidden recognizes all employees for their dedication and hard work. Mesa County Department of Human Services Information and Communication Coordinator Angeline Roles, left, and Economic Assistance and Employment Director Michelle Trujillo catching up and having some at the luncheon. Mesa County Criminal Justice Services officials along with CJSD Director Dennis Berry, right, enjoy lunch before the awards ceremony gets underway, where 10 CJSD staff members will be recognized for various milestone anniversaries. Mesa County Captain Art Smith waiting to go through the lunch line. Yes, he is holding a jar of Carmex lip balm! 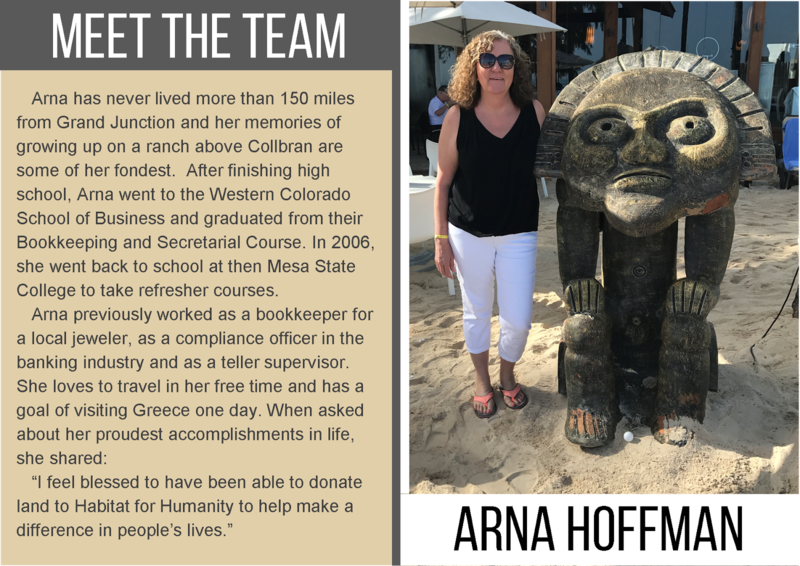 Mesa County Department of Human Services staff members help celebrate and recognize 43 of their fellow co-workers for their dedication and accomplishments. Mesa County staff members talk to Commissioner John Justman at the employee luncheon and awards ceremony. Mesa County Public Works Director Pete Baier continues to work and take phone calls as he plates his meal. Mesa County Department of Human Services and Workforce Center employees having a good time and enjoying their meals. Mesa County Commissioner John Justman catches up with staff at the employee luncheon. Mesa County Chief Deputy Undersheriff Rusty Callow, left, and Lieutenant Steve Farlow. Lieutenant Farlow will be recognized for his dedication and 30 years of service. Mesa County Sheriff's Office Administrative Coordinator Bernice Stogsdill, left, is recognized at the awards ceremony for her outstanding contributions, commitment and 35 years of institutional knowledge. 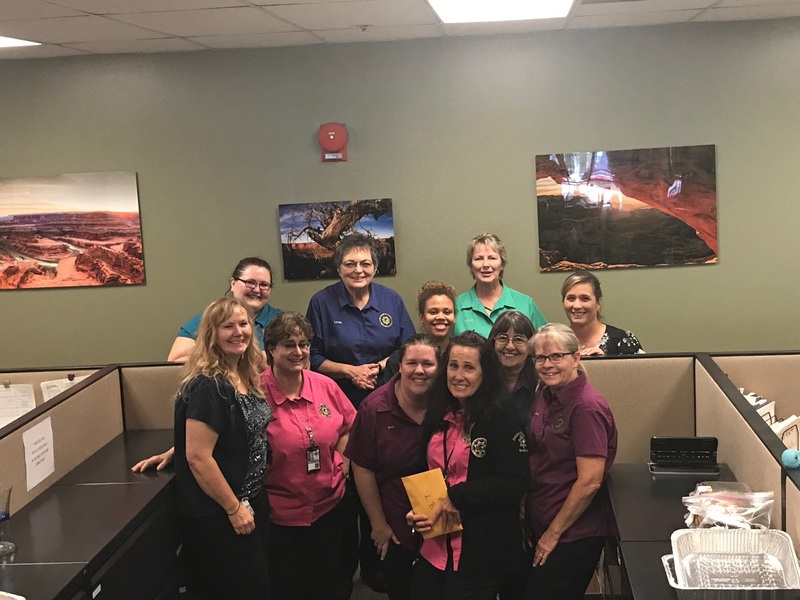 Mesa County Sheriff's Office Transport Coordinator Carla Dittman cheers Bernice on! Child Welfare Abuse & Neglect Hotline team members Zondra Masden, Nicci Surad, Catilyn Donohue, and Ashley Watkins celebrate co-workers on anniversaries and accomplishments. Reports of known or suspected child abuse or neglect should be made immediately to the Mesa County Department of Human Services Child Protection Hotline at (970) 242-1211. Mesa County Animal Services Director Doug Frye celebrates his 10th anniversary with Mesa County. Mesa County Assessor's Office Appraiser David Metzger waves at the camera. 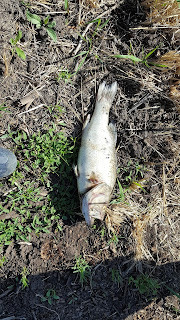 Hello, David! Mesa County Treasurer Janice Rich, right, recognizes Mesa County Treasurer's Office Accounting Specialist Christine Horner, left, for 25 years of hard work and unwavering commitment to Mesa County. Some of the staff members of the Mesa County Information Technology Department made it to the luncheon! Mesa County Facilities and Fairgrounds employees celebrate with Stacy Pinnt, right, on her 5th anniversary! Over 400 hundred Mesa County employees were able to attend the annual luncheon and awards ceremony, even if it was for a few minutes! 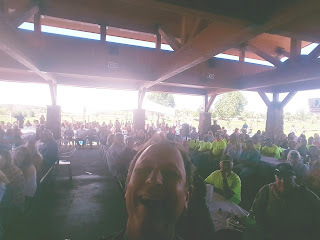 Mesa County Environmental Health Specialist Thomas Orr takes a selfie at the awards recognition ceremony, where he was honored and recognized for his dedication and 25 years of service to the residents of Mesa County. Orr describes this picture as "self-promotion." Mesa County Road and Bridge Supervisor Rudy Bevan, left, congratulates Construction Manager Pete Mathes on his 25th employment anniversary and hands him a box of gulf wax. 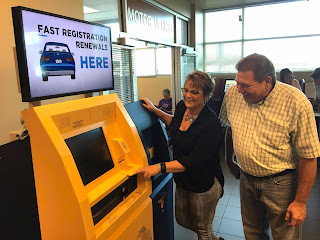 Mesa County Clerk and Recorder Sheila Reiner had a special guest stop by and check out the new motor vehicle kiosk. Colorado Senator Ray Scott authored SB16-138, in 2016, which led to automated kiosks being implemented. 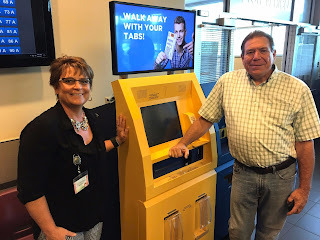 Mesa County Clerk and Recorder Sheila Reiner and Colorado Senator Ray Scott stand by the new kiosk at the motor vehicle office, 200 S. Spruce St. Governor Hickenlooper signed SB16-138 on May 17, 2016, allowing counties to provide services via self-service kiosks. The touch-screen terminals allow citizens to walk up, enter information from their vehicle renewal notice, pay the appropriate fees and print their registration and license plate tabs without having to wait in line for service from a deputy clerk. 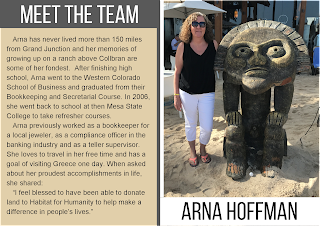 Meet Mesa County Clerk and Recorder's Office Land Records Technician Arna Hoffman. Members of Ducks Unlimited Grand Valley chapter, employees of Target and their families joined Mesa County Noxious Weed & Pest Management staff at Clifton Nature Park to help remove trash, weeds and treat some tamarisk trees. 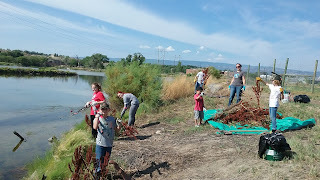 Sixteen members of the community, local organizations and businesses removed two trailer loads of weeds trash including tires, clothing, bottles and cans from Clifton Nature Park. Employees from Target volunteered some time to help clean up Clifton Nature Park at 32 1/2 Road and D Road to help improve the area for the local community. 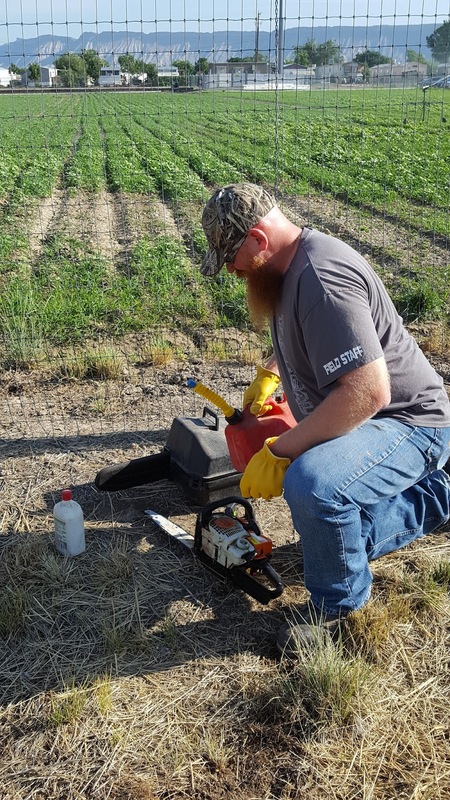 Jake Wertz is a member of Ducks Unlimited, a representative for Toxic Calls, and also a Mesa County employee. 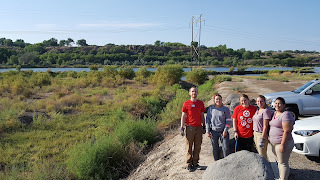 He helped coordinate activities and a volunteer day for Ducks Unlimited members to work toward removing and treating invasive species like tamarisk at Clifton Nature Park. 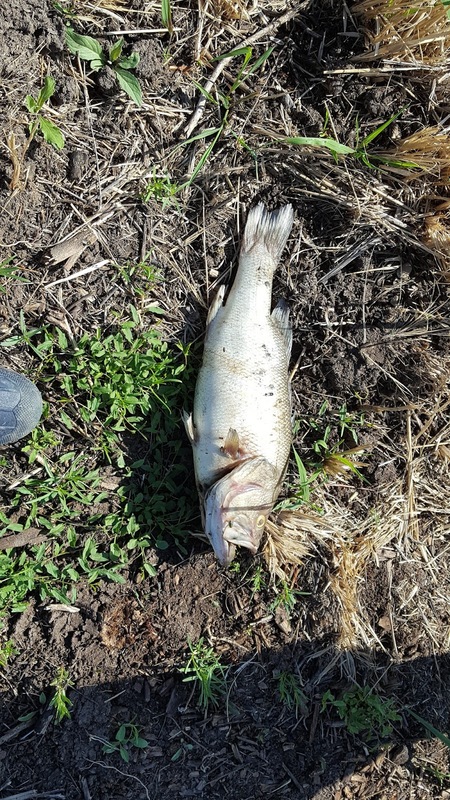 Mesa County Noxious Weed and Pest Management Coordinator Teresa Nees found a bass. 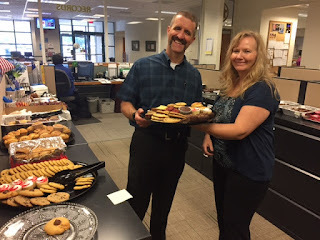 The Mesa County Sheriff's Office hosted a bake sale fundraiser for Mesa County Law Enforcement Specialist Laurie Barlow. Laurie was diagnosed with cancer a little less than a year ago. Employees from various county departments attend the bake sale to enjoy delicious treats and support a good cause. Mesa County Captain Art Smith and Supervisor Donna Draper at the bake sale fundraiser. Donna coordinated the bake sale!